In his magnus opus Fighting by Minutes, Robert Leonhard dissects tactical/operational/strategic surprise. In chapter eight, he argues that delaying detection is the first step to achieve surprise, which is a very intuitive concept to grasp. In chapter nine Leonhard explains why once your forces have been detected it is very important to hasten contact in order to deprive the enemy of the time he needs to prepare his defense and/or counter attack. 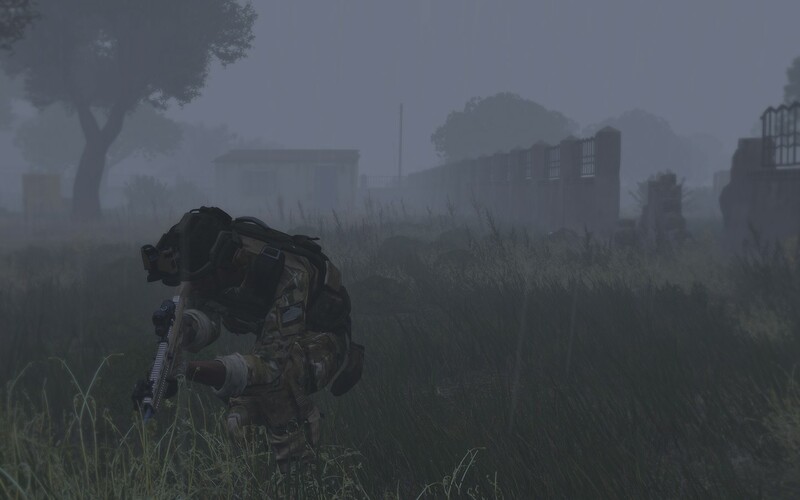 Although the weather was awful in Altis, ArmA 3 continues to look great. 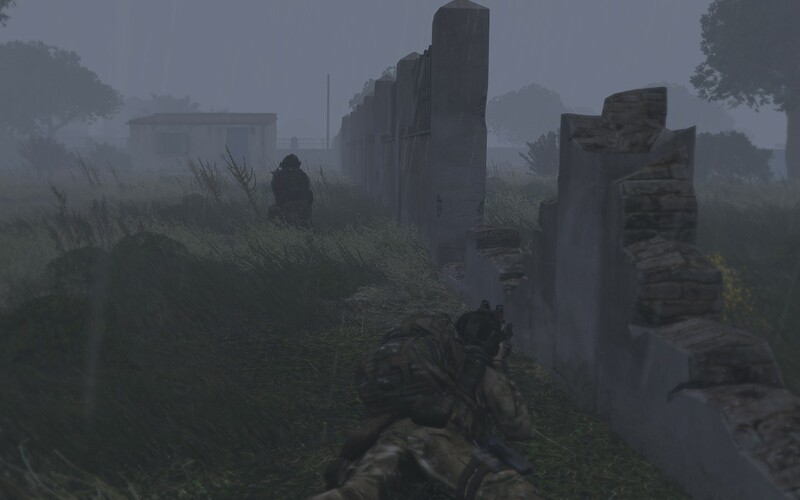 In the image above my 3-men US infantry team is trying to exfiltrate from a town patrolled by six CSAT reconnaissance troops. One of my men just detected one enemy patrol but is holding fire because my machine gunner is a few meters behind. I payed dearly in virtual blood to my misuse of the concept of hastening contact. The enemy patrol moved through our front without detecting us. We didn't engage because in our quest for all around security, the machine gun was a few meters down the road. I delayed contact because of my own shortcomings rather than clever planning. As I mentioned before, I am mostly a solo player. One question can be made about the use of surprise in solo gaming is: can you really surprise a computer opponent? Computer code and virtual entities do not have emotions as humans, off course. So surprise, with all the emotional load included in the human experience is not coded or simulated in most in games' non-playable characters. Not in ArmA 3, for sure. However, if one defines surprise as the inability to react properly against a sudden change in a given situation, even the most humble computer opponent can be "surprised". 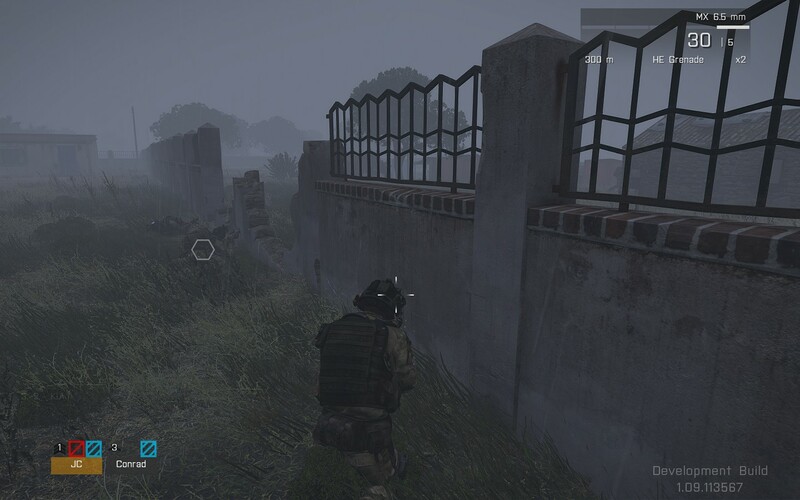 In the case of this ArmA 3 scenario, I was trying to ambush the patrol. Ambush: sudden fire upon the enemy, giving him little chance to react effectively by taking cover, returning fire and even counter attacking. With the enemy patrol seemingly gone, we continued our advance towards edge of the town. Suddenly, we got spotted and engaged by an enemy patrol. Yet again, my team is dispersed. Only #2 (MGunner, mid-background) and #3 (ammo bearer, foreground) are spotted and able to respond to the enemy fire. One enemy grenadier falls, but my team is pinned down. By the time I (#1, foreground) am able to return to the team, #2 is KIA and I can see #3 injured. I had a hard time getting myself into a good firing position. The enemy is moving now in our flank. #3 falls shortly thereafter, unable to move without being targeted. I then have to move out. The enemy fire is not slackening and I can hear the yells of the leader of another enemy patrol getting into position. Besides the mistake of not keeping the team together at all times, I failed to hasten contact. Immediately after we got spotted, I should have anticipated the enemy's flanking movement and take advantage of his vulnerability while moving. Even more importantly, I should have taken immediate measures to take advantage of the enemy's counter attack (by the second patrol) by positioning our team in a way that good fires can be vested upon their avenues of approach. 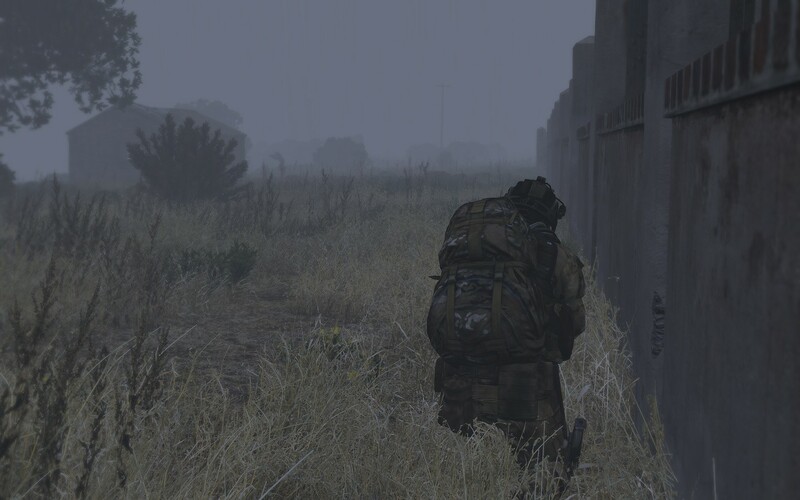 One has to remember that when the enemy detects you in ArmA 3, you may not now from where he will come from, but you always know his destination (the point where you were last seen). So, the take home lesson that I take from this is that, besides delaying detection, hastening contact is very important. Force the enemy into bringing as much targets as your guns can target into the firefight in a period of time so short that he is unable to deploy correctly. Leonhard's writings about hastening contact in Fighting by Minutes reminded me of McRaven's Theory of Special Operations. According to McRaven, prolonged contact impairs the chances of success as the enemy is able to bring up his reaction force upon the enemy. In my Arma 3 experience, if you can’t take out the threat in one engagement, your best next move is to withdraw to a new position, if you can gain an advantage. Otherwise, you’ll have to slug it out where you are.